Home › Unlabelled › Let Your Child Shine through SM Little Stars 2018! 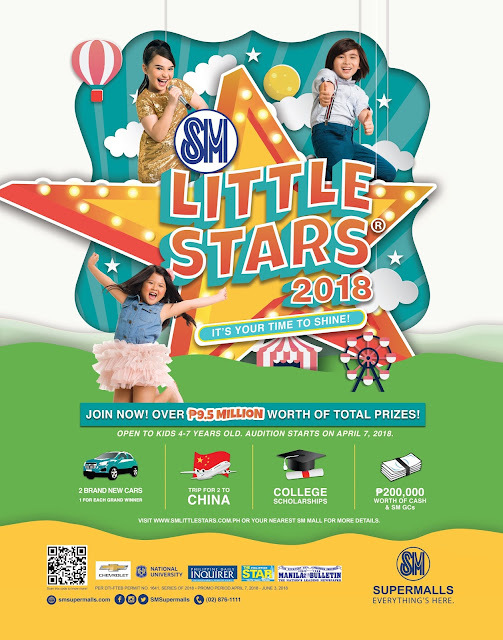 Let Your Child Shine through SM Little Stars 2018! Mommies and Daddies, if you have talented kids ages 4-7 let them join and shine through SM Little Stars 2018 and might be your child could win a scholarship from National University, Trip to China for 2, Chevrolet car and P200,000 cash and GC.